Fondant icing is a star in cake decorating. It's what gives fancy cakes that smooth, sleek surface, and it can be molded into three-dimensional shapes, too. 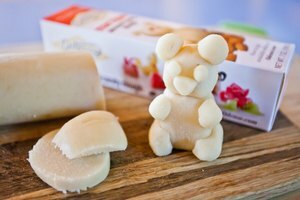 Fondant recipes typically use gelatin, which contains collagen from animals, as an ingredient. For a vegetarian-friendly version, agar agar—a thickener derived from seaweed—can sub in. Here's how. Pour cold water into a small saucepan. Carefully add agar agar flakes to the water, and set the mixture off to the side. The flakes need to soak in the water completely before they're dissolved over heat to create a gelatin substitute. Separate powdered sugar into 2 large mixing bowls. Create a small well or hole in the center of one of the bowls of powdered sugar to add the liquid ingredients into later. Place the small saucepan with the agar agar flakes onto the stovetop over medium heat. Stir until the flakes begin to dissolve. Once the liquid boils, reduce the heat to a simmer. Add 1 tablespoon of water at a time to the agar agar mixture to dissolve any remaining flakes. The flakes will appear as small specks in the bottom of the pan. Stir constantly to help the flakes dissolve. Add corn syrup, glycerin, vanilla extract and non-hydrogenated shortening to the pan, stirring well. Pour the mixture into the well in the bowl with the powdered sugar. Stir to mix in the powdered sugar well. Gradually add 1 to 2 tablespoons at a time of the powdered sugar from the other bowl, stirring as you go. When you can no longer stir the fondant dough with a spoon, knead it. Add powdered sugar gradually until the fondant does not stick to your hands or the bowl. Continue to knead the fondant until it appears soft and pliable. Roll the fondant into a ball, and wrap in plastic wrap. Store the fondant at room temperature and use as soon as possible. Agar agar flakes are available at health food stores. 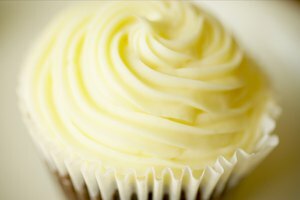 Skip the vanilla extract if you wish to create a pure white fondant icing. Coat your hands with the extra vegetable shortening to prevent the fondant from sticking. 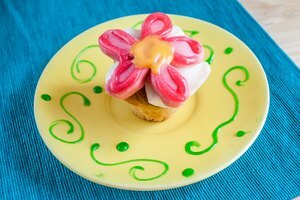 To alter the color, you can add drops of food coloring to the fondant as you knead it. Avoid altering the recipe, as that can greatly change the texture of the fondant. 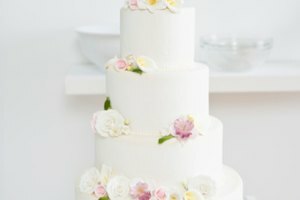 Never store fondant in direct sunlight, which affects the color. Avoid storing fondant icing in the refrigerator or freezer, as the excess moisture can alter the texture.